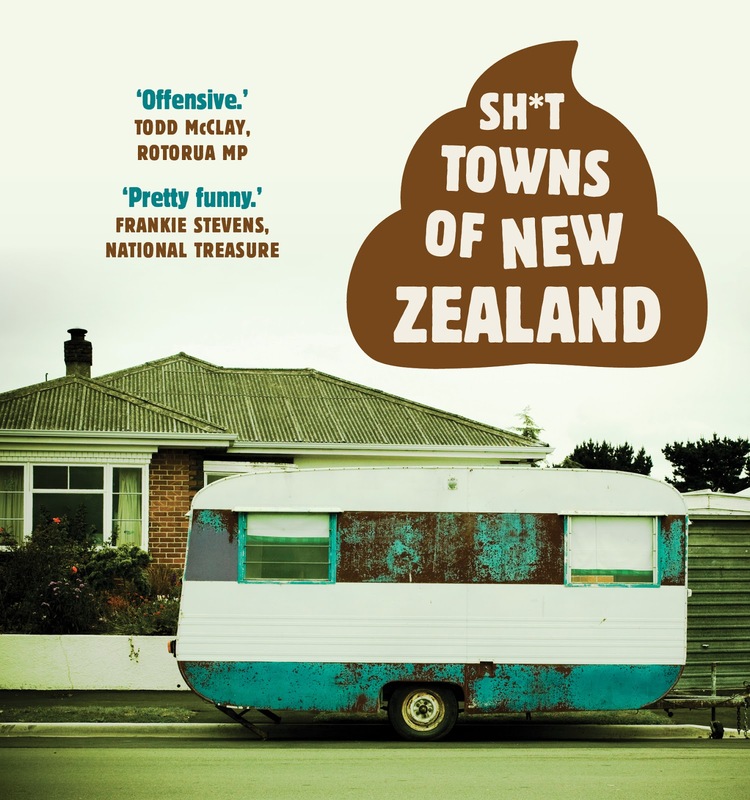 New Zealand has a special place in my heart, but Sh*t Towns of New Zealand contains some real laugh out loud moments and I enjoyed reading it. The anonymous author raised a few suspicions at first (who is she/he?) but these are soon forgotten as you discover their views on the crappy towns and suburbs in New Zealand. There's a lot of 'taking the piss' going on. "Iconic Landmark: The Sky Tower, a casino-owned structure shaped like a giant hypodermic needle as a tribute to the homeless junkies who sleep beneath it." They're right too, the tower does look exactly like a hypodermic needle. Bwahahahah! "Some time ago, some bright spark decided the best way to compensate for Bulls' blatant boringness was for every business in town to be christened with a bull-related pun. Cop shop? Const-a-Bull. Pharmacy? Dispens-a-Bull. Public toilets? Relieve-a-Bull. Brothel? Shag-a-Bull. Doctors? Cure-a-Bull. Abortion Clinic? Dispos-a-Bull." I don't know about you, but I love this kind of pun and reading about this place made me want to visit the town of Bulls right away. I did have a few criticisms though and thought this contained way too many references to STDs and teenage pregnancies. Some of the slights on locations seemed a little repetitive at times and readers should know it contains a lot of adult content. 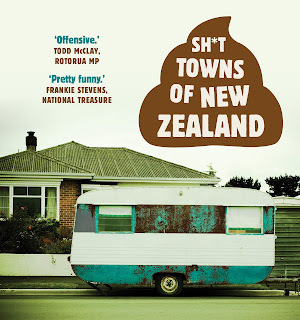 Sh*t Towns of New Zealand is a great gift book or stocking stuffer for Kiwis and those with a fondness for the Land of the Long White Cloud.